Today is an exciting day because we just ordered Birdy’s very first passport. For now our little double citizen will have only the German passport as acquiring the Latvian one is significantly more work. We’re leaving the second passport for later, most likely for when Birdy turns five and the passport will not expire as quickly. 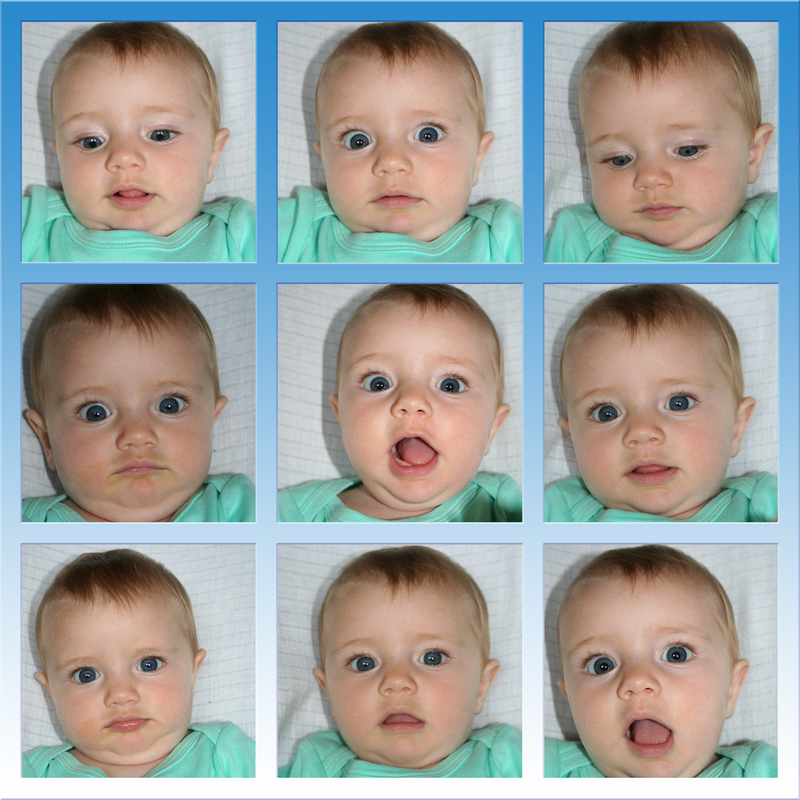 A proper passport photo is, of course, a very important part of getting that first passport. Yet we weren’t that keen on the idea of taking our four month old baby to a photo studio. It just sounded like so much work to time it right so that she is happy and photo-ready on a specific time and date. As it happens, the requirements for a passport photo are not as strict for babies so we decided to try making one ourselves. And you know what? It really wasn’t that difficult. Disclaimer: what I am describing below is valid for Germany and might be different elsewhere in the world. Always check the current requirements for passport photos in your country. Step 1: prepare the setting and equipment – choose a place with good, indirect daylight, adjust the settings of your digital camera, and make sure that it has enough battery. Pro tip: set your camera to burst shoot – after all, babies are not exactly known for their ability to keep still. Step 2: take one rested, fed, and freshly diapered baby and make sure that she is camera-ready (i.e., is without a hat, a bib, or a pacifier) and lay her on the floor on a white pillowcase or a white sheet. Pro tip: dress the baby in colors that set apart form the white background. Step 3: position yourself above the baby and start making photos. Make sure that the baby looks at you, if needed, use a rattle or an interesting toy. Your goal is to get one (just one!) photo with the baby’s head kept straight and both ears equally visible, the baby looking at you but not smiling. Pro tip: if one side of baby’s face is in slightly in shadow, use another white sheet or pillowcase as a reflector on the shadowy side. Step 4: use your preferred editing software to cut the photo to passport photo proportions. Not sure how exactly it should look like? Check online for a passport photo template! Pro tip: if you cannot find a template specially for babies, use a grown-up one. Obviously baby faces have different proportions than grown-up faces, just pay attention that their chin is at the standard height of the grown-up template. Step 5: resize the image to the size needed for the passport picture (here in Germany it is 3,5 cm x 4,5 cm) and order the prints. Pro tip: you can do the passport picture photo studio-style and place several photos next to one another. For this you need to check the exact size of the prints offered by your chosen photo printing service and adjust the photo margins accordingly. For the cropping and printing part, you can use passportcorner.com – it will get the dimensions just as you need it for any country. Thanks for the tip, the site looks great. I have used http://www.idphoto4you.com/ with great success for US passport pictures. We used them too — for both US passport pictures and German same-standards-as-passport pictures. Ahh, you are lucky. Taking photos for Latvian passport is really complicated. We still haven’t done for our third son. Neither one of our kids has a Latvian passport yet either, my plan is to do them in Latvia when they’re older. Sorry to hear that you couldn’t find how to follow! You can sign up by email or follow the blog on FB, both are on the right side of the post of you’re on the pc and below the post if you’re reading on mobile.